Located in the heart of Kensington, this 7,500sqm luxury development creates a new London Square with the apartments and town houses set around central landscaped gardens. Classic materials of stone, brick and timber recognise the architecture of the local historic environment and combine with a contemporary architectural design. 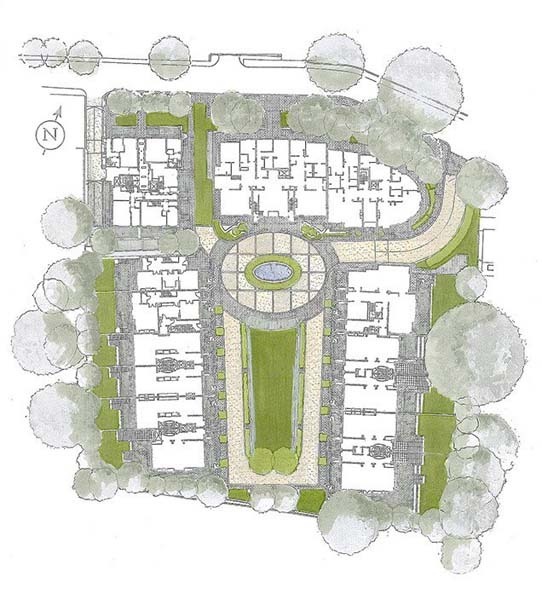 The development is notable for including an affordable housing scheme alongside high specification residences. The Phillimore Square apartments are designed on a grand scale, providing 2 to 5 bedrooms in a mix of duplex, triplex and lateral units along with striking penthouses.